Councillor Ayling has since become something of a celebrity on Twitter and other social media with thousands of quotes and re-tweets. Subsequently Ayling has said what she meant to ask was “what happens when the subsidies for renewable energy run out?” which is probably not a great deal less silly given the UKIP policy to end subsidies for renewables. Clearly the councillor has no idea what impact her own party’s policies would have. Worse still is the focus on one particular subsidy among many thousands purely because of an ideological hatred of wind energy. Why not come clean and just say they hate wind turbines? Both UKIP and the Conservatives pick on subsidies because energy industry regulator OFGEM continues to support on-shore wind saying it is the cheapest form of renewable energy available – ie it does actually work and is cost effective. Both UKIP and the Conservatives are pro-fracking and would most likely seek to bias the planning system in favour of the “strategic delivery” of fracked gas in the same (but inverse) way that Mr Pickles is currently refusing wind farm appeals. Whatever the result, the outcome of the General Election will have a major impact on the ability of the UK to deliver on future (and much tougher) environmental targets. Today’s announcement by the Tories that they will do everything in their power to stop any further on-shore wind turbines has been labelled as “pandering to potential UKIP voters” by many. By announcing the future policy now, so far ahead of next years election they also hope to damage investor confidence which could in turn see bank lending for such projects dry up. A double whammy.. Go Dave! Mr Fallon is urging communities around the country to “get behind fracking” touting the 65,000 jobs it will create. No mention of the same number currently working in the wind industry that would loose theirs. In December 2013 Mr Fallon said he wants to see 2/3’rds of England opened up for fracking. In January the government rushed through pro-fracking planning reforms despite massive opposition in the Lords with the aim of making it harder for local planning authorities to block future shale gas developments. In today’s announcement they plan to do exactly the opposite for wind energy development and make it much easier for plans to be blocked by local councils and the minority of vocal objectors. Meanwhile energy experts the world over agree that on-shore wind energy is by far the cheapest and easiest large scale renewable technology. In trying to kill it in favour of shale gas the Tories are showing their true colours – and they ‘aint green. Much more expert reaction to the news can be found here. Today the Guardian newspaper reports that Nick Clegg has vetoed plans by David Cameron to put a cap on the number of wind turbines allowed on-shore. A Lib-Dem spokesperson said Tory claims to be green were now dead in the water. It is unbelievable that in the same week as the latest IPCC report (which says impacts from global warming will be “severe, pervasive and irreversible“) is published, the Tories are trying to kill off yet another renewable industry. You may remember that 50% cuts in the Feed-in-Tariff during 2012 saw thousands of workers in the solar industry loose their jobs. This is yet further evidence, if any was needed, that should the Conservatives win a majority general election next year we will likely see a wholesale dismantling of the UKs renewable industries to be replaced with fracking or worse. Let’s leave the last words to climate-stupid climate-sceptic MP and Environment Secretary Owen Patterson who appears to sum up Government thinking on the subject saying “we should just accept that the climate has been changing for centuries” and “the temperature has not changed in the last seventeen years” and better still that global warming could actually be really quite nice adding that it “would also lead to longer growing seasons and you could extend growing a little further north into some of the colder areas“. Sadly this is no April fools-day joke. 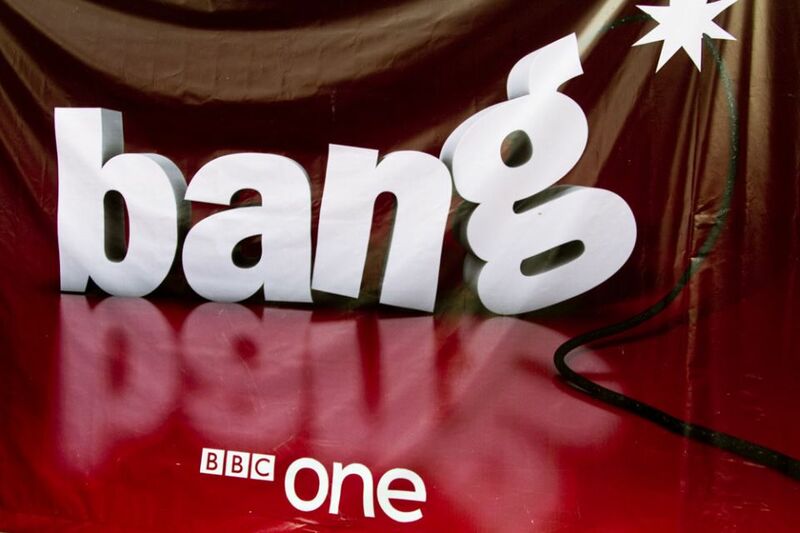 For anyone wanting a primer on the energy crisis facing the UK over the next couple of decades, the BBC Bang goes the theory broadcast on Monday 10th March paints a sobering picture. The decommissioning of old coal and nuclear power stations could leave an energy gap of 20 to 30 gigawatts by the year 2020. According to a new report by the independent Committee on Climate Change (CCC) the average UK household could see annual energy bills rise by £8,000 if recent Government u-turns on CO2 reduction go ahead. Key to the new findings are the decision by George Osbourne to delay new cuts in carbon emissions by 10 years – to 2030. The CCC estimate this will cost the UK economy an additional £100 billion because, as is well known, the earlier we tackle climate change the cheaper and vice versa. If expected increases in fossil fuel prices occur the cost soars to £200 billion. “This report shows the clear economic benefits of acting to cut emissions through the 2020s. This provides insurance against the increased costs and risks of climate-related damage and rising energy bills that would result from an alternative approach to reduce and delay action.” – Lord Debden, CCC chairman. But, don’t just take the CCC’s opinion (although they are the official body setup by the Government in response to the Climate Change Act 2008) as 100 major companies have also called upon Osbourne and Cameron to stick to the original plan. Signatories include Sainsbury, Asda, Ikea, O2, Nestle and Unilever. Instead, subsidies for renewables are being cut and tax breaks awarded to anyone wanting to invest in ‘fracking’. So the ‘cut’ of £50 off domestic energy bills announced last week should perhaps be viewed as nothing more than a pre-election ‘bribe’ because the warning from the CCC is clear..
Not acting fast enough to tackle climate change will cost each and every one of us dearly in the long run. The Government announcements this week that subsidies for solar farms are to be cut drastically came as no surprise to many. Renewables of all types are under attack on multiple fronts from back-bencher sniping to DCLG interfering with the planning appeals system. Meanwhile new tax breaks for tearing up the countryside with fracking sites were announced in the Autumn statement, together with a promise for thousands of new jobs and cheap(er) gas. Presumabley these are to replace the thousands that were shed last year when the solar industry almost imploded after cuts exceeding 50% or the thousands more that will be lost as onshore wind and solar developers simply give up on the UK. Only quite recently Danish giant Vestas pulled out of a major wind turbine assembly plant in Kent. So just why is the Government so keen to break their ‘green promise’, destroy an industry and loose thousands of jobs in order to promote fracking as the only way forward? The cynical reader might suspect powerful lobbying by the oil and gas industry or perhaps even vested interests coming to the fore. Whichever, it is becoming clear that a change of government may be needed if the migration to a low carbon economy is to become a reality. This decision beggars belief and has caused warning bells to ring within the renewables industry. It would appear this is further evidence of the current “fracking or bust” policy. The Independent reports that UK carbon emissions for 2011 jumped by 2.6% despite the economy only growing by 0.3% over the same period. The increase was seen to result from a move back to burning dirty coal by electricity generators. Its the gas price, stupid! Following SSE’s announcement of energy price increases averaging 8.2% for its customers, the usual round of political finger pointing was in full evidence with climate-change-deniers and fossil-fuel-lobbiests all wading in. The age old lie? That renewable energy and green policy is to blame. But is it? SSE’s figures show that the price hike will average £93 a year for a typical household. Of that, £23 is due to increases in wholesale energy prices, £28 for re-investment back into the grid infrastructure and smart metering, £5 in VAT, £15 in “green taxes” and a remaining £23 which is “unaccounted” for bit includes SSE’s profit. Official figures from OFGEM show that support for renewables has added £15 to the average household annual energy bill of which on-shore wind accounts for just £4.68. In addition Government subsidy for most forms of renewable energy have been or are being cut significantly. Gas prices have added over £120 per year per household. With an ageing number of nuclear and dirty coal power stations being decommissioned and the Government hoping a second dash for gas to fill the gap, its no wonder they are so keen for fracking to be successful. Without fracking the UK will need to import ever more expensive LNG (liquid natural gas) in competition with global markets. Over the forthcoming decades the increasing price of fossil fuels will become an ever increasing financial burden on the UK, unless we act to reduce our dependency.